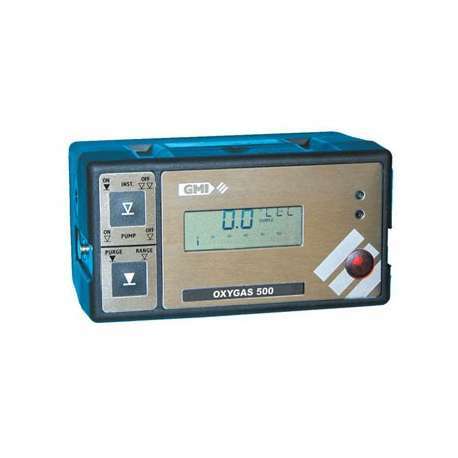 The GMI Oxy gas 500 and Oxy gas P500 is a flexible combination instrument designed specifically for leak detection and purging or inerting operations. It features simple two button operation meaning all features can be accessed simply. It can be powered by rechargeable or standard alkaline cells and has a proven track record for durability and reliability. The unit is mounted in a rugged carbon loaded polypropylene case so is in full compliance with IP 54 in terms of sealing and is suited for outdoor use. 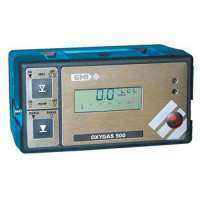 Fully ATEX approved, the GMI Oxygas 500 features a backlit LCD display which shows the user accurate gas readings in both analogue and digital format. This unit has been designed specifically to integrate directly with the GMI autotest calibration units. 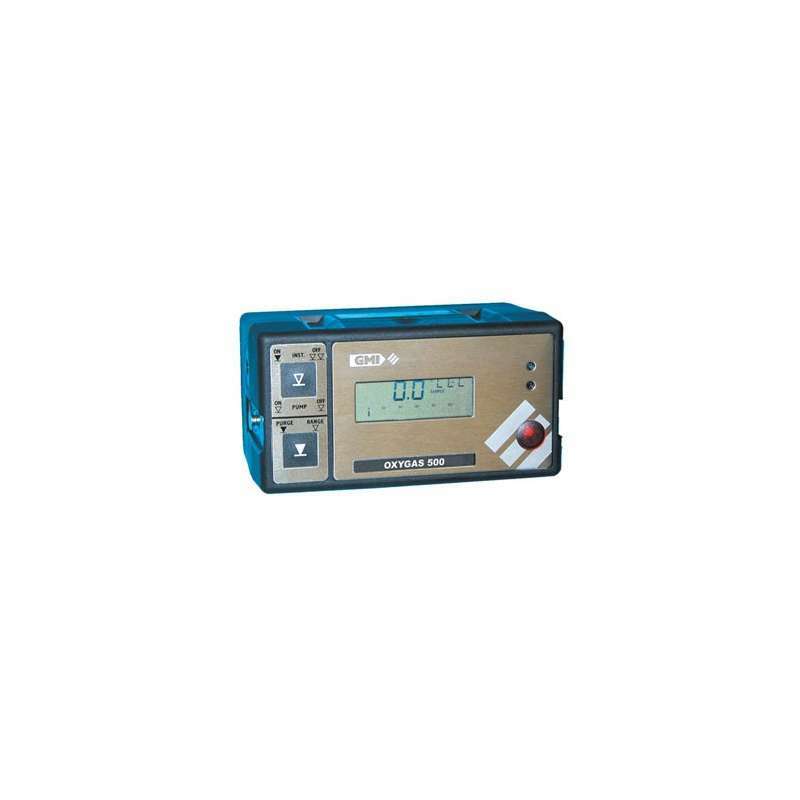 The LCD display is a four digit digital display with a three character range indication and operational flags. Weighing in at 1.7 kg its dimensions are 180 mm x 95 mm x 105 mm. It features an integral pump with flow fail sensor whereby the sample path is protected by hydrophobic filter and automatic pump switch off.